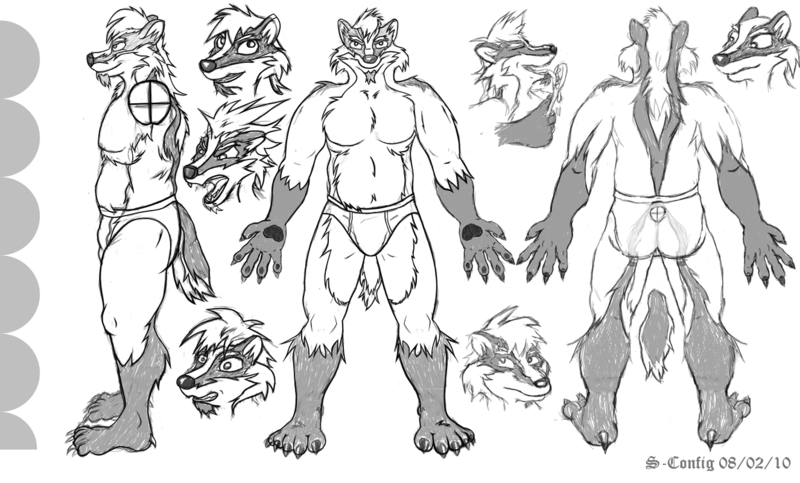 Badger Reference / Model sheet of “S”. 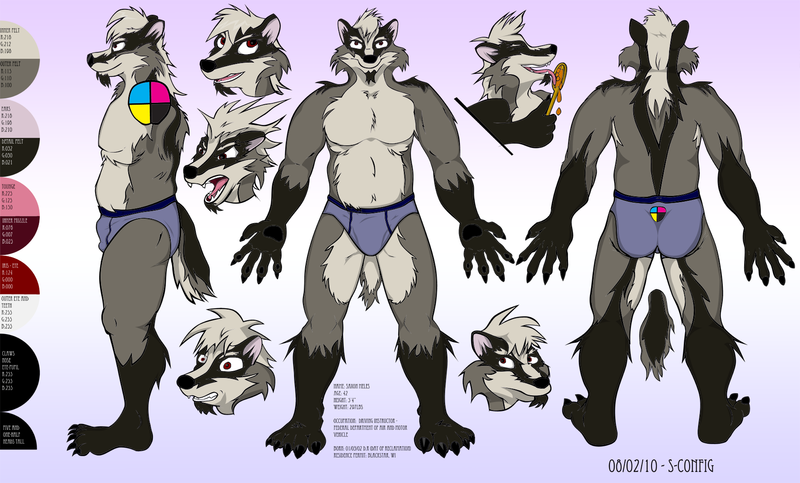 Currently, I just have a reference sheet done of my new badger character. 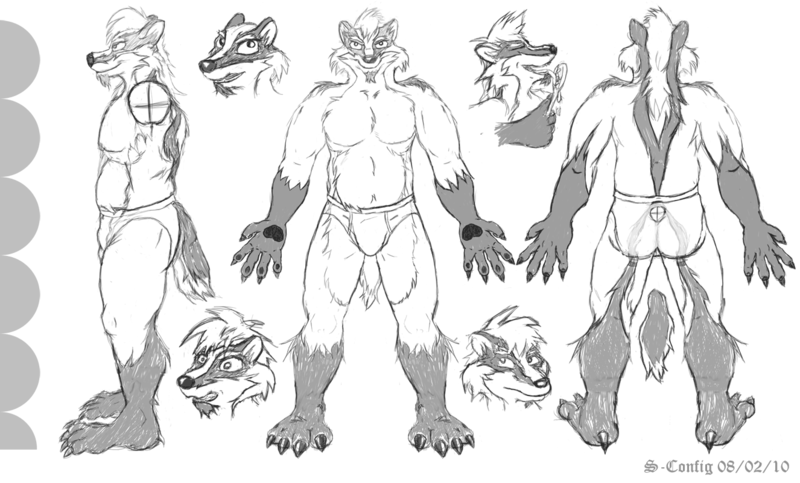 clothing and more detail will come eventually.This is something I was working with and decided that perhaps a badger would be a better species set for me. Who knows. The model sheet with done entirely in photoshop using a %10 pressure soft-pen to emulate pencil and finally using the smart-brush for inking via mouse. this took a good day to complete. Not one of the fastest for a badger, but it’s something i wanted to be accurate one. It’s also the icon I use on FurAffinity whenever I still go on there. Badger Sketch sheet with expressions done in photoshop. Inking work in progress. along with a few more facial expressions. Meta Descriptor of “S” the badger. S is a 5 foot 7 inch tall badger with cream undertones starting along his chin and tapering down his neck fluff. His markings are that of the more European decent of badger with the two black stripes going from the nose and across the eyes. His build is a little chunky leading a good life as he approaches his mid 30’s in human years. A little of fat around the legs and stomach but also muscle to back that up from working throughout the years. He smokes occasionally, wearing a heavy brown leather jacket with bamboo slipped in every few inches to act as the buttons of his jacket. a Red Scarf and finally a pair of brown jeans that lead to his scandals or just bare feet depending on mood and condition. He has a grey business attire suit but only for those special occasions like funerals and even more funerals does that clothing line come out.